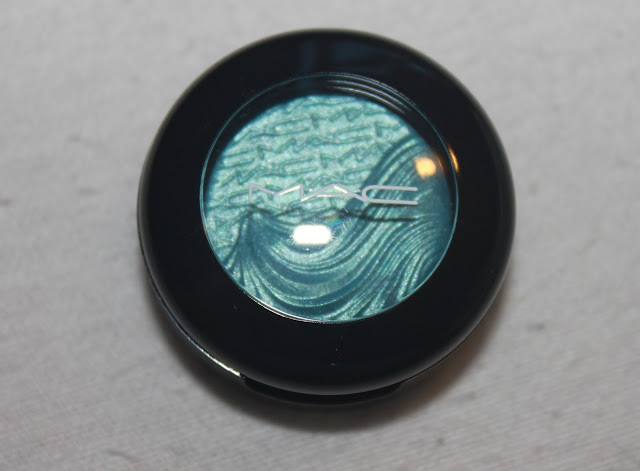 This is another thing I'm reviewing from the Glamour Daze collection by Mac, and this time it's a shimmery eye shadow. 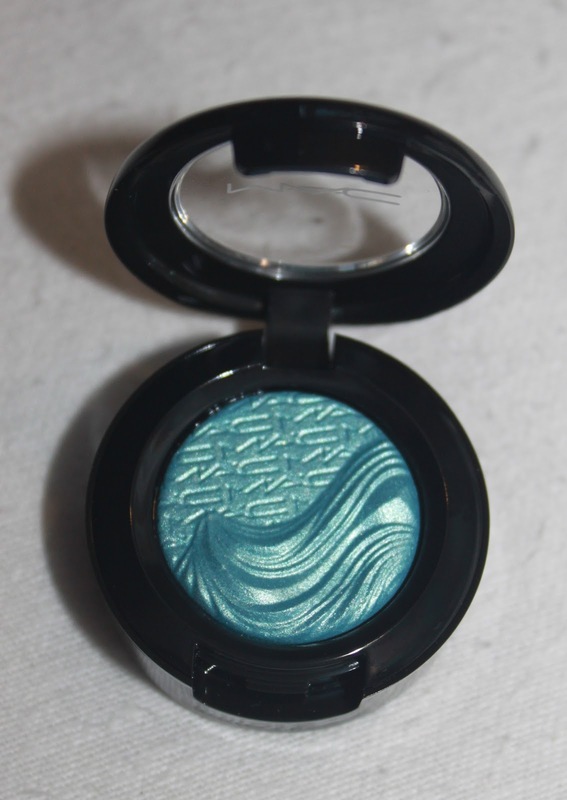 This gorgeous colour called Devine Blue is packed full of shimmer. 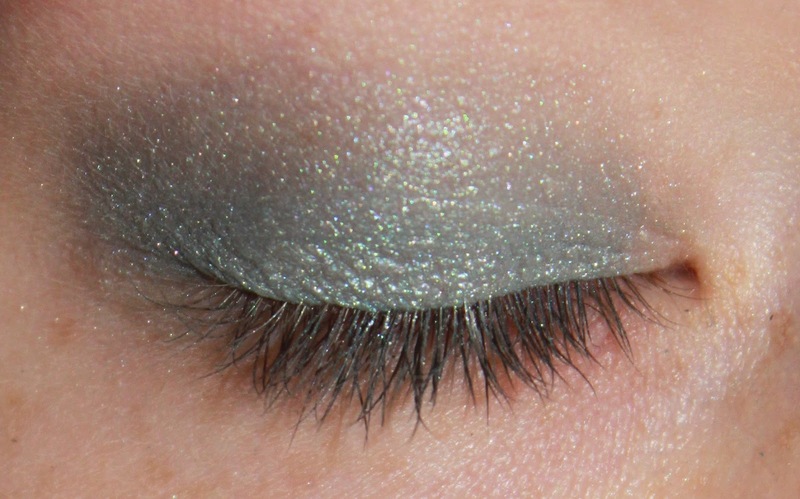 This is the first Extra Dimension eye shadow I've tried, and really liked the finish. It was a really sheer finish and looked so pretty. As you can see in the swatches below, it has a pearly blue, green and silver finish. I applied this with my finger on my lids so I could pack more colour on. What I love about this colour is how buildable it is. You can keep adding layers until you get the desired look. 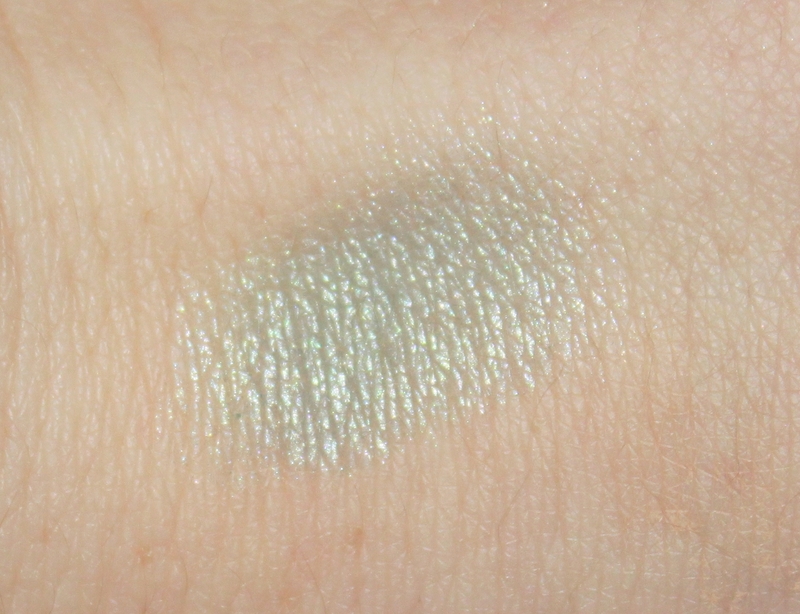 I have a swatch below on my hand where it's very sheer. You can wear it like that for a pretty wash of colour, or pack it on for a bolder look. Overall, I loved the way this shadow worked, and it's perfect for me. I love subtle colour, and this really was a treat. A 9/10 from me. See the swatches below and zoom in if you want a clearer picture. Thank you so much for reading! WANT CURLY HAIR WITH NO HEAT?